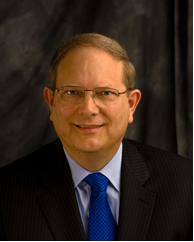 George A. Demontrond, III is the President of DeMontrond Automotive Group, Inc., as well as DeMontrond Auto Country, and DeMontrond Motor Corporation. He's the owner of DeMontrond Allstate Insurance Agency. Receiving his Juris Doctor from the University of Texas School of Law in 1976, his BSE from Princetown University in 1973, and his AB in Economics from St. John's School in Houston, Texas in 1969, George is an industry leading professional. His diverse educational background and devoted work ethic have supported his rise in his community, participating on boards of a number of professional and charitable organizations. Craig Doyal is a native Texan, a fourth generation Montgomery County resident, and a product of Conroe ISD and Texas A&M University. He currently serves as county judge for Montgomery County. As county judge, Judge Doyal presides over meeting of the Commissioners Court, and oversees the administrative functions for Montgomery County. Judge Doyal works with the county’s four commissioners to manage the budget, services and functions of a rapidly growing county and ensure the county is meeting the needs of its 500,000 plus residents. Judge Doyal is particularly focused on the county’s mobility issues and works closely with the Texas department of Transportation and other county and state officials to make sure the county is keeping pace with our fast growth. Ned S. Holmes is a native of Houston, Texas and a graduate of the University of Texas with a BBA and a JD from the University of Texas School of Law. Ned worked in the real estate business as an independent developer involved primarily in residential (apartment and townhouse), commercial (office and warehouse) and subdivision projects. He currently serves on the newly reconstituted oversight committee of the Cancer Prevention and Research Institute of Texas (CPRIT). His term expires January, 2019. Ned is also currently a member of the Board of Directors of Prosperity Bancshares, Inc., a New York Exchange bank holding company. D. Wayne Klotz, P.E. is President of Klotz Associates, Inc., a full service civil engineering firm based in Houston, Texas. He received his BSCE from Texas A&M University in 1974 and an MSCE from the University of Houston in 1976. He is a licensed professional engineer in Texas and Louisiana. Wayne is currently serving on the Institute for Sustainable Infrastructure Board of Directors, and the Industry Leaders Council. Among his awards is the 2012 Houston Engineering Alumni Association Distinguished Engineering Alumnus Award from the University of Houston. Brenda Mainwaring is an Iowa native and earned a Bachelor of Arts and Master of Arts in Anthropology at the University of Iowa. Brenda Mainwaring leads political and community outreach for Union Pacific Railroad in six southern states. As Vice President of Public Affairs, she has responsibility for the fastest-growing region of Union Pacific’s 23-state network. As Vice President, she mentors and supports her team as they connect with hundreds of communities and organizations along Union Pacific’s lines. Brenda was honored in 2016 by the Greater Houston Women’s Chamber of Commerce as a “Breakthrough Woman,” which recognizes achievement in a traditionally male-dominated industry. Gary Montgomery has practiced civil and environmental engineering in Texas and Louisiana for 40 years in the municipal, land development, and industrial business sectors. In 1996, he founded Montgomery & Associates, LLC, (later Montgomery & Barnes, Inc.), and in June, 2012, he joined Jones & Carter, Inc. as a Senior Vice President. Gary’s areas of project and technical expertise include water/wastewater, transportation and drainage/stormwater quality. In addition, he is active with a number of community organizations that are focused on regional infrastructure improvements. Matt Sebesta is a lifelong resident of Brazoria County and a graduate of Texas A&M University with a degree in Civil Engineering. Matt is a licensed Professional Engineer and Registered Professional Land Surveyor. Matt is in his 24th year of elected office, currently serving his 1st term as County Judge. In 1996, he was appointed to the Regional Resource Commission by Governor George W. Bush and later as Chairman of the Regional Resource Commission in 1998 by Governor Bush; a position he still holds today. Matt serves as the Brazoria County representative to the HGAC Transportation Policy, Council where he was recently elected Chairman. 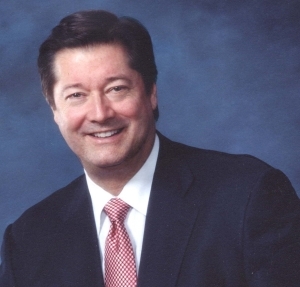 Gary Trietsch is Executive Director of the Harris County Toll Road Authority (HCTRA). Previous to that he worked for over 40 years with the Texas Department of Transportation (TxDOT). 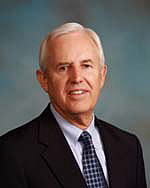 He was the District Engineer of the Houston District from 1995-2008. Gary earned his bachelor’s degree in civil engineering in 1970; his master’s degree was awarded in civil engineering in 1974. Major projects during his tenure in Houston include the US 59 Gateway to Houston, Spur 527, removal of the Baytown Tunnel, IH 45 Pierce Elevated, IH 610 West Loop, IH 45 Galveston Causeway and IH 10 West – Katy Freeway.